Purdue researchers are developing an integrated biosensing platform aimed at detecting and monitoring mosquito-borne diseases faster and cheaper than current methods, to aid in preventing virus outbreaks and their devastating effects. 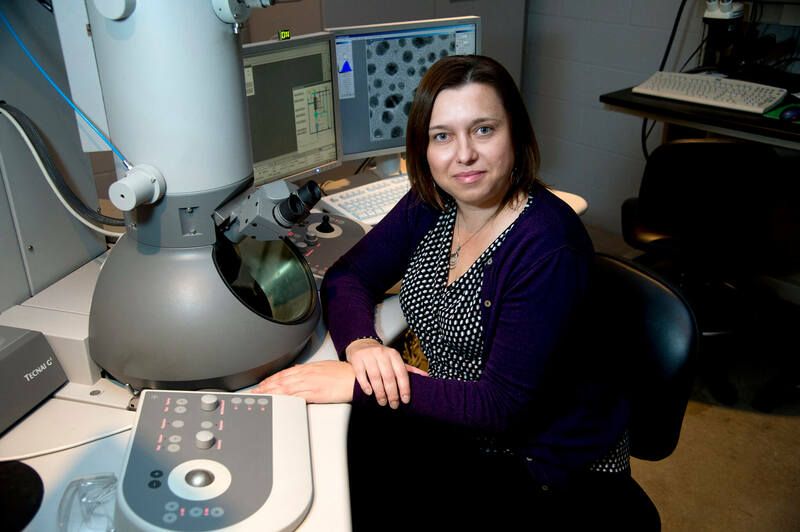 Lia A. Stanciu, a Purdue professor of materials engineering, is leading the research and development of the technology. Additional researchers are Ernesto Marinero, professor of materials engineering and electrical and computing engineering; and Richard Kuhn, professor and department head of biological sciences and director of the Purdue Institute for Inflammation, Immunology and Infectious Diseases. Kuhn also led the research team that were the first to determine the structure of the Zika virus. Stanciu says that current detection methods for neglected tropical diseases are often time-consuming, expensive and complicated. Stanciu, Marinero and Kuhn have developed an amperometric biosensor that utilizes functionalized nanoparticles that specifically bind to the target viruses’ DNA or RNA. When the binding occurs there is a change in the device resistance, which the sensor employs to unambiguously detect the presence of the virus. The sensor can then determine whether or not a blood or mosquito sample has the virus and how much of the virus is present. The sensor relies on an agent that will only respond to the intended virus to be detected. Marinero says there are many ways in which they plan to further develop their device. The device will operate through a low-power wireless network and will use thin-film rechargeable batteries combined with thin-film photovoltaics to power and harvest energy from the environment to maintain functionality and performance without human intervention. When a disease is detected in a mosquito sample it will send an alert to health control officials about the potential threat. Stanciu says they are seeking funding to further develop the technology. The Purdue Research Foundation’s Office of Technology Commercialization has patented the technology and it is available for license.